Andrea Altomaro discusses delivery complications that can occur without a midwife present as a young woman attempts to conceal her pregnancy in Episode 6. 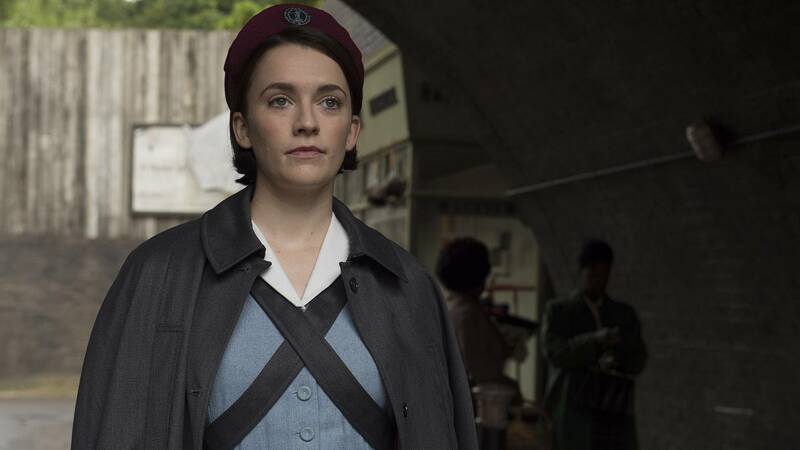 This week’s episode of Call the Midwife contained its fair share of drama, heartache and joy. I was frightened for the women of Poplar when there was an assailant on the loose, and devastated when Sister Mary Cynthia was targeted. Sister Mary Cynthia’s strength and bravery in coming forward and speaking to the police was extremely inspiring. I also found myself drawn to the story of Thora Hills and her daughter, Diane. Diane was pregnant and alone, which is a scary place for anyone to be, and naturally her mother worried about the stigma that came with being an unmarried teen mother in the 1960s. Thora helped Diane hide her pregnancy and planned to help Diane deliver the baby at home. They would then claim the baby was Thora’s and Diane would go on as if the baby was her sibling. My heart broke for Diane, as it seemed that she was scared, alone and not in complete agreement with her mother’s plan. My heart broke when Diane asked her mother how the baby was going to come out of her; Diane had such little knowledge of how her body worked. While many women fear childbirth, fear of the unknown can be overwhelming. I am a firm believer that knowledge is empowering. I spend many of my prenatal and women’s health office visits explaining normal body processes and physiology. Since no one knew that Diane was pregnant, she didn’t receive that regular prenatal care from the midwives of Nonnatus House that would have given her this basic knowledge of her body and the birthing process. The midwives could have been there for her to help her prepare for this major life event. Thora Hills had four children of her own. She felt capable of helping her daughter deliver her baby because she had been through birth enough that she felt she knew the basics. However, there is a very big difference between being a “pro” at giving birth and attending a birth as a skilled provider. One of the wonderful characteristics of midwifery is that we really believe that pregnancy, labor and birth are normal life cycle events. Most of the time, things progress fairly easily in a predictable manner (well, easy is a relative term—labor is hard work). Certified nurse midwives are trained to keep careful watch over the woman and her baby and identify if complications could arise. Certain things like a headache, itchy hands or changes in the baby’s movements might not raise a red flag for a pregnant woman or untrained friend or family member, but a skilled midwife will know to look into things further. After delivery, Diane’s placenta was not coming out. A retained placenta is one that does not come out within 30 minutes following the birth. We are concerned about retained placentas because it can lead to further complications like a postpartum hemorrhage, where there is too much blood loss, or postpartum endometritis, an infection in the womb. When Thora calls Nonnatus and the visiting doctor answers, he tells her to “employ Brandt-Andrews” and of course, “give the cord a swift tug.” The Brandt-Andrews maneuver is done by placing one hand on the woman’s abdomen to hold the uterus in place, while the other hand provides downward traction on the umbilical cord. Of course, Thora wouldn’t know this, and all she heard was the “swift tug!" If a placenta is not detached from the uterine wall, pulling on the cord very hard can actually pull the placenta out with the uterus still attached, essentially turning the uterus inside out. This is called a uterine inversion, which is what happened to Diane Hills. On top of being very painful, it is also an emergency situation when this happens. A uterine inversion can lead to major blood loss, shock and even death. I was so grateful that Trixie and Sister Mary Cynthia made it to the Hills’ flat when they did. Sister Mary Cynthia’s gentle support and Trixie’s composed, steady demeanor helped to keep Diane and her mother calm. Trixie’s skills and training helped her to immediately know how to act in this emergency, and that was to carefully replace the uterus into position and wait with the patient until further help arrived. This had to be frightening for Trixie. Uterine inversions are rare, only occurring every 1 in 1,200 to 57,000 deliveries. I doubt Trixie had ever experienced this before, but her training as a nurse midwife helped to prepare her for this and many other obstetrical emergencies. As we close out the celebration of Nurse’s Week last week and International Day of the Midwife on May 5, this episode was a wonderful reminder that nursing and midwifery are the perfect combination of education, skills and compassionate care. I can’t wait to see what next week brings!